Well-maintained private end unit with great ocean views and a short walk to the beach. The unit is bright and open and has a deck for outside living. Barrier Island Station has great amenities, including both an indoor and outdoor pool area, hot tub, game room, steam room, sauna, shuffleboard, ping pong, and more! There are two ground-level storage units for bikes and beach gear. Advertised rents for 2018 were $19,795 with the unit being rented only April through September. Association fee covers flood insurance, common insurance, building maintenance, grounds maintenance, road maintenance, water, sewer/septic, walkways, cable, water, common electric, pools, tennis courts, and security. 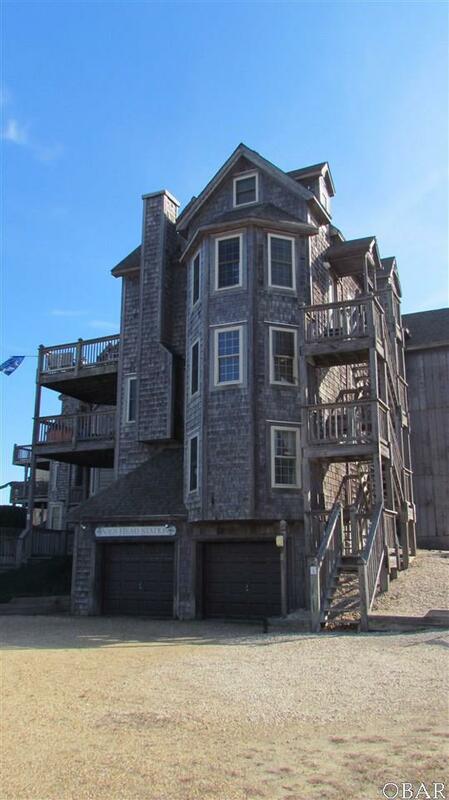 This affordable oceanfront property would make a great second home and/or rental property. Listing courtesy of Kim Desocio of Howard Hanna Real Estate Services.